Something interesting about Bangalow. The town of Bangalow can be found in New South Wales. It is located in the Byron Shire Council with the population of more than 2,000 in the 2016 Census. It is North of Sydney (765 kilometres and South of Brisbane (167 kilometres) - off the Pacific Highway. Its name was derived from an Aboriginal word "Bangalla" which means "low hill or a kind of palm tree". 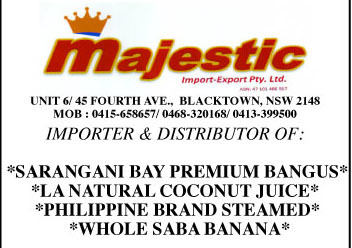 It was first known as "Bangaloe" and in 1907 the spelling became modern and was changed to "Bangalow". It is a beautiful haven for holiday makers who may want to enjoy the fun the town can bring. There are beautiful hotels, guest houses and a home for a good brewed coffee from the local area itself and lots of other foods that anybody can enjoy. The Billycart Derby is a great yearly event that people are always looking forward to join in or simply just to watch. It is an old fashioned outdoor event full of fun for everyone, young and old alike. It is for everyone. No age limit A man known to many who became the oldest participant in 2016 is "Bangalow Bill" at the age of 86 and still strong. Age did not stop him from doing things that he has enjoyed for so many years. The event had began in 1994 and has grown each year. It is inclusive to the whole community - individuals, families, workplaces, schools, sporting clubs, seniors, among others. The different categories range from Celebrity, Home Grown, Novelty and Traditional. The Billycart must be under 75 kilogram, the width must not exceed to 1,200 mm, there must be fixed seating and proper brake and steering wheels. To participate - registration forms are available from 7:00-9:00am sharp. It can be completed in advance too. The competition is on the main street, 20 May 2018. It starts at 12:30 pm with all the Billycarts in line ready to go. The Billycarts began rolling down the hills and spectators are in big and loud applause. Everyone was excited. The Billycarts came in all colours, shapes and sizes. Prizes are available to the winners. What a delight! Above all, it is a free event. The event coincides with the "Mad Hatter's Derby Tea Party" - a group from Bangalow Public School - considered as the biggest fundraiser. It is on in the month of May each year. Food stalls are busy selling foods, cakes, coffee and many more that catches the eyes of the people around. The other fun includes the ferris wheel ride, jumping castle, merry go round and a lot more. There are arts and crafts stalls too and clothes stalls as well. There is something for everyone. The funds raised is given to the School and contribute towards the resources needed to promote to the learning welfare of the students. The Bangalow Public School was first built in 1884. And in 1925, four classroom building was made out of brick materials. The Bangalow Billy Cart Derby is an iconic event. It is organised by the Bangalow Lions Club, sponsored by Summerland Credit Union and run by Volunteers - 100% all the way through. The money being raised go to the Bangalow Public School, Scouts, Local Community Projects, Charities the Town's Annual Christmas Street Party. local bands, vintage cars, schools, local clubs, scouts and celebrities. It is made possible by the generous businesses, clubs and people who are always willing to give out of love. The new project that comes this year is the billycart building courses intended for fathers and sons or mothers and daughters and is held at the Bangalow Men's Shed on Saturday mornings. It works well for those who do not have a Do It Yourself skills or workshops. Visit the area and see it for yourself. Bring your family and friends. For sure, you will have a thing to remember and may share it to others as well. Try! You have nothing to lose but good memories to cherish. Thanks to all the Organisers, Sponsors and the whole Community who supported this wonderful event.